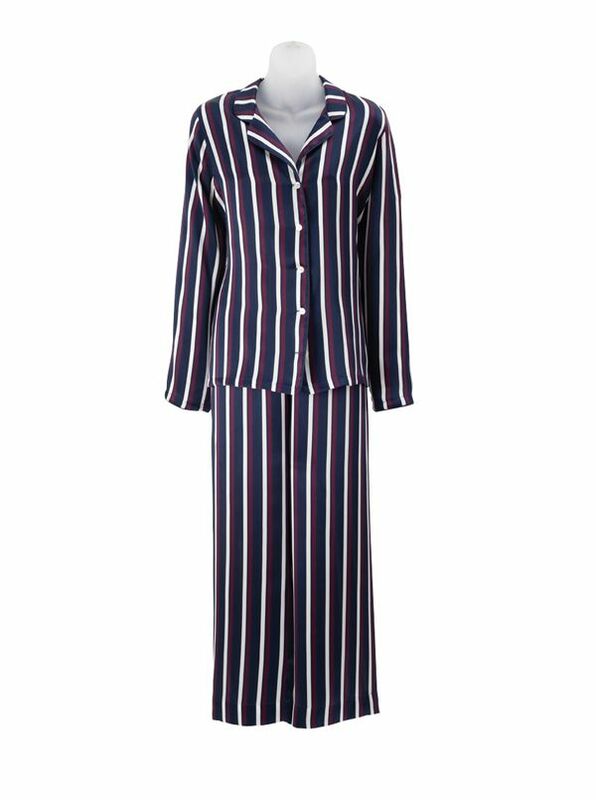 Silk Regimental Stripe Pajamas by Derek Rose in traditional stripes updated in luxe 100% silk. With button-front, long-sleeve tops, elastic waistband pull-on bottoms. Imported.